Mega Power Star Ram Charan Tej’s new film in the direction of V.V.Vinayakhas commenced shooting today. The movie is going to be a commercial masala entertainer, as per sources associated with the project. Kajal Aggarwal will be seen as the heroine in this film. 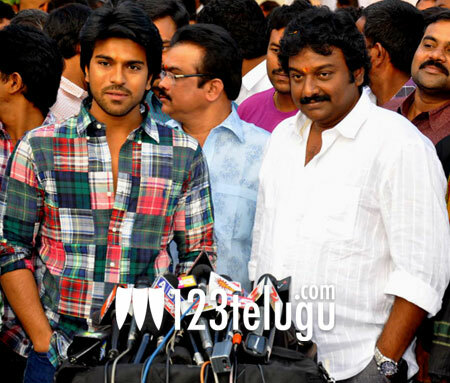 Industry talk is that Ram Charan will be seen in a double role in this movie. Shooting of this movie will go in a single uninterrupted schedule and efforts are being made to complete the movie at a fast pace. Thaman will be scoring the music for this flick and D.V.V. Danayya is the producer. Shooting of Charan’s other film ‘Raccha’ is mostly complete except for a few songs.